Audacity is a free audio editing software that is commonly used to record and edit audio files (i.e./ sound, narration, music). It can be used to record sound/narration, to edit and manipulate pre-recorded sound files, and create a final audio product that can be used in podcasting and video narration. 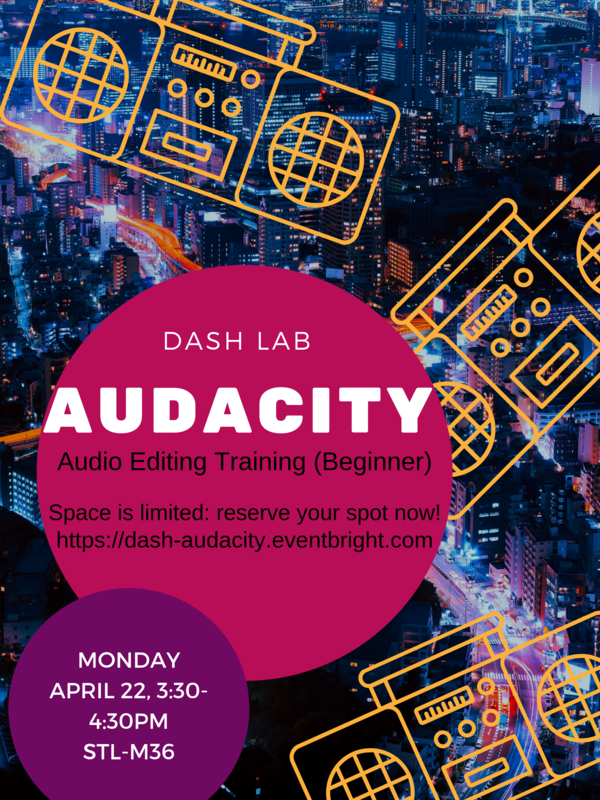 In this training we will cover the fundamentals of using Audacity to edit recordings (including, working with multiple tracks, adjusting the volume of the various tracks, deleting audio clips, as well as integrating fade in/out into your audio project).